Healthy eating is an important part of leading a healthy lifestyle, regardless of age. Healthy eating ensures your body gets all the nutrients it needs. It also helps reduce your risk of developing chronic diseases, such as type 2 diabetes, heart disease, and cancer. It’s recommended to have a healthy pattern of eating most of the time. Healthy eating doesn’t mean you have to give up your favourite foods, but try to choose healthier options more often. The pattern of eating over longer periods of time is more important than any one meal or food. Follow the healthy eating recommendations from Canada’s Food Guide into your everyday diet to ensure it’s a healthy one. 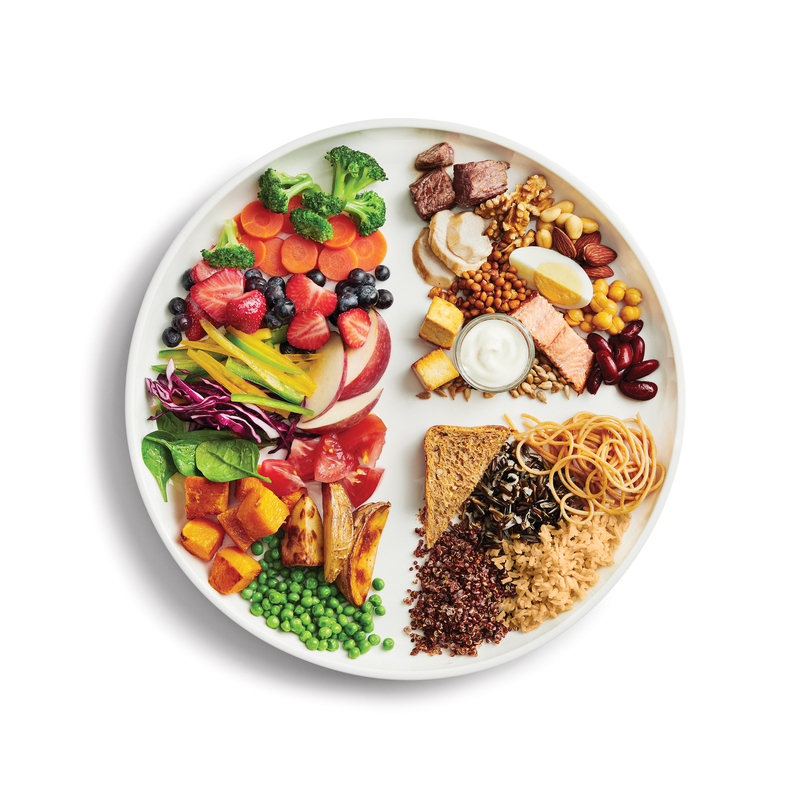 Visit Canada’s Food Guide for more information on healthy eating, recipes, resources and more. Image above reproduced with permission from the Government of Canada. Have a healthy eating question? Call the Registered Dietitians at Telehealth Ontario toll-free at 1-866-797-0000 or visit UnlockFood.ca. The Meet Smart Catering Program certifies local caterers to support healthy eating habits by offering healthier menu options. This program makes it easier for Meet Smart Program users to order healthy menu options that have been reviewed by Registered Dietitians. Welcome to the You’re the Chef Leader’s Portal! In here you will find program resources and tools to help you deliver your program. Employed adults spend the majority of their waking hours at work and for many, several of those hours are spent sitting in meetings. The types of food available at meetings and the lack of physical activity can impact the health and productivity of employees. The Healthy Kids Community Challenge is is ending, with the fourth and final theme of “Power Off and Play!” To celebrate this theme, the Windsor Essex County Health Unit is hosting the Screen-Free Meal Time Online Challenge. Sign up for the Challenge to learn more about the benefits of screen-free meals for children 12 and under! Take Charge is a local program that encourages and supports Windsor-Essex County residents to eat healthy whether at work, at school, in daycares, or out in the community. The Take Charge program is helping our community to provide better access to nutrition education, and healthy food and beverage options. Many Windsor-Essex County residents spend a lot of time at work most days; therefore, creating a healthy workplace environment is critical when it comes to promoting and supporting healthy eating behaviours. The YTC is a six-week cooking program for students in grades 4 to 12. It’s a fun way for youth to gain valuable skills and learn how to cook healthy meals and snacks for themselves and their families. YTC can run in schools, community agencies, or camps. Registered Dietitians are food and nutrition experts. The goal of this class is to build on the principles of the Eat4Life Healthy Lifestyles Program, with the focus on being mindful of what we eat, and how the environment around us plays a role in health. Increasingly we are seeing changes that show us just how vulnerable our local food system is. No one organization or community group can make a difference alone. The Food Policy Council will allow all sectors and individual community members to communicate and work-together towards meaningful change.